This morning, as I was boarding a regional jet from London City Airport to Dublin to catch a flight home to New York (and save on the UK’s absurd departure taxes), I picked up a copy of the Daily Mail, which was featuring a story titled “Husbands Who Fly First Class While Their Wives Slum It in Economy” at the very top of the front page. Naturally, since we were about to board a plane, other passengers seemed to share similar interest in this particular article, so I thought it’d be worth passing along, though it’s arguably a bit sexist. The gist of the story is that a growing number of male business travelers (“husbands” in this case) are purchasing business or first-class tickets for themselves, and economy tickets for their travel companions (“their wives”). Surprisingly, most of the spouses interviewed seem a-okay with this practice, and their coach-flying partners seem to think it’s justified as well. Seriously. 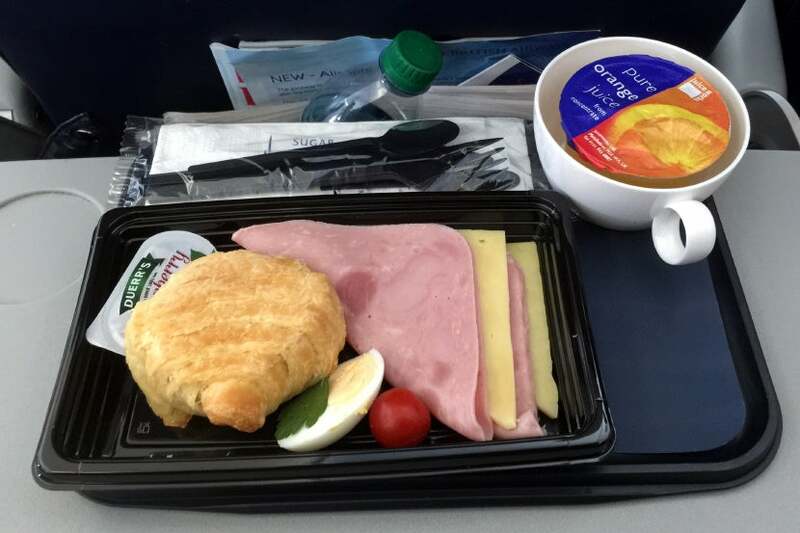 With a free meal in coach on this hour-long BA flight, business class wouldn’t have been worth the cost for anyone. What’s especially interesting about this story is that premium-cabin flyers acknowledge that they could use miles to upgrade their companions, but they rarely do. While it is often possible to redeem frequent flyer miles for hotel rooms, you’d almost certainly be getting a terrible return. It generally makes much more sense to use those miles for an upgrade, or redeem them for business or first-class travel outright. In some cases, these business travelers could even bring their partner along for next to nothing by taking advantage of a companion ticket, such as those offered by American Express, British Airways, Delta and Alaska. Do you split up to save money on international flights? Share your experience below.